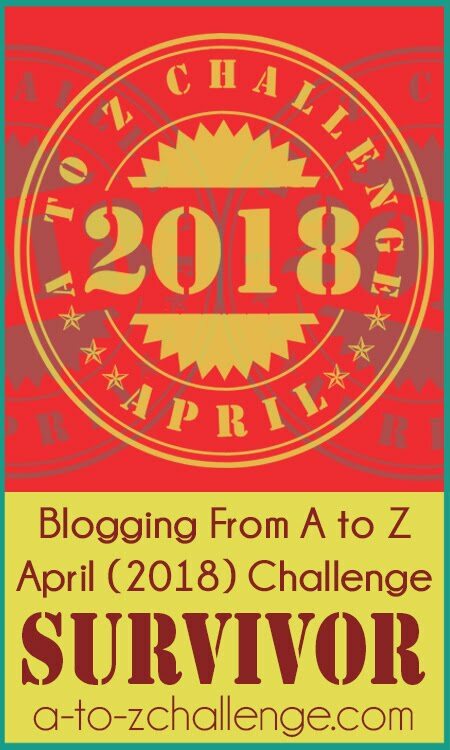 The Blogging From A to Z Challenge has issued a survivor badge for completing the April challenge of posting blogs related to all 26 letters of the alphabet! We hope to pull together a reflections post, but in the meantime, admire our colorful new badge, created by Jeremy @ Hollywood Nuts. Thanks, Jeremy! Violets can be found in many places, including your human lawns! So many species live on the east coast, even Miz Flora doesn’t bother to identify the species. Ol’ Wally remembers when Towhees were called Rufous-sided Towhees–see the reddish side feathers–but you humans have shortened that to Eastern Towhee. We see the Towhees when we’re digging in the underbrush looking for acorns we hid. They like thickets and and though the males are most strikingly marked, they’re good at hiding in dense foliage. Females like this one are particularly hard to see with their more brownish coloring. That makes hiding while hatching eggs easy, though doesn’t explain why they have red eyes. Ok, this isn’t a native plant, but it does bloom early in the spring and lasts longer than a tulip. See how the flowers at the bottom are open but the buds at the top aren’t? It’s also pretty hardy–they lasted through the freeze we had earlier this week. Plants like this help out insects by filling in with steady nectar supplies while everything else gets going. Consider how you can provide overlapping blooms in your garden to help wildlife! Sadly, D did not fall on Thursday–for Ol’ Wally’s Thirsty Thursday column–but I gratefully took his advice to post this fabulous D entry for the letter. This type of drainage ditch always gets our votes! It is not concrete, it’s permeable! Permeable is oh-so superior because it allows the water to seep into the soil instead of shooting it off somewhere else. That ‘somewhere else’ usually has too much water and leaves the original spot with too little. Also, all those rocks are a huge benefit. They provide more surfaces to hit so a stream is forced to slow and spread and seep. Ok, folks, I had this all set before we checked the letter schedule for ‘D’ day…and saw Sundays are free! We forgot! (How quickly they forget!) Does anyone else miss that nice calendar desktop A to Z used to have? So we don’t disappoint all of our regular readers, you get a bonus C at the bottom. In the meantime, here’s our cherries…. Spring and cherry blossoms. Sigh. Whether planted trees or native, haven’t they been lovely? C is also for Canada Geese wildlife statue on Motionless Monday, a little column in which we squirrels feature wildlife statures because humans can’t seem to get enough of us! 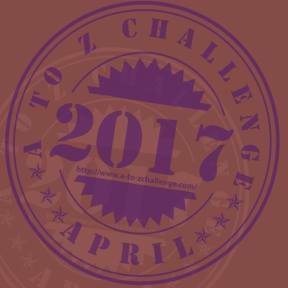 If you’re new to the Blogging From A to Z Challenge, Sundays are free! Nutmeg forgot, right up until she looked on the calendar to confirm her letter days. The first year she entered the challenge I–Hickory Squirrel, here–filled in for her free days with a column of my own creation. Ever since, The Squirrel Nutwork has run a quiz for fun on Sundays, posting a photo and asking you human readers, what is it? So here we go! Might be easy for some and hard of others. Give us a guess in the comments. I’ll be back this evening to reveal the answer! We had a correct guess today! These are maple seeds, or samaras. Our guesser wasn’t sure which maple species, but in this case, it’s easy to tell because of the red hue to the seeds. This is from the Red Maple tree. In our neighborhood we have other species of maple as well, so we leaped around today to check them. Surprisingly, not all of them had samaras–but those trees were not native species, so something else may be going on with them–the Norway Maple and the ornamental Japanese Maples. The one that did is what we thought was a Silver Maple. The samaras are much larger and they flare out, which according to our field guide, isn’t the shape they should have. You can bet we’ll be taking another look at that tree’s leaves. If any of our readers have another type of maple and want to send us photos of the seeds–preferably with the tree identified!–we’d love to see and post them. 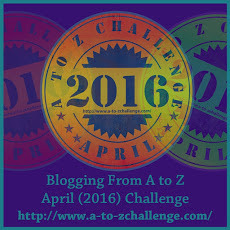 Yes, we are signed up for the Blogging From A to Z Challenge. 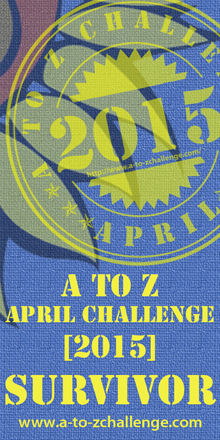 Heard of the Blogging from A to Z Challenge for the month of April? If not, check it out at A to Z! It’s our 5th year, and what beautiful banner! We are (currently) number 1480 on the list. See you April 1st! We’re still on our winter break, especially with the dump of snow hitting our little corner of the world. But a reader sent a great photo to us and we had to share. Our normal ways of collecting food–sniffing out the acorns and hickory nuts we buried last fall–isn’t working too well with several feet of snow on the ground here in Northern Virginia. Our reader put seed in cleared area to help us out–and perhaps the birds, too. We thought we’d share her idea in case a few of you might also be able to help your neighborhood critters. Thanks, Mary Ellen! If you aren’t a regular reader, please see our prior post explaining The Squirrel Nutwork‘s winter blogging break.